share this video and spread the word. I cannot do it alone!!! saves your work from chipping, dulling and dries rock hard in 6 minutes. no light needed and is vegan! can you say: badass?!?! handmade by me: frankenpolish smokey black .50 cents! acrylic craft paint in black from the craft store .99 cents a bottle! Subscribe to my channel here: http://bit.ly/1UDLr1B Please read! I was alerted that my title REALLY messed up this tutorial and i totally missed it. (omg, so lame...) so I am uploading it again fixed so you guys can see it. I apologize so much, i work so hard on these and what a mistake!!!. SO..ALSO!I am having a brush giveaway until oct 3, so tag a friend on instagram or facebook and have a chance to win! I am choosing 3 winners this week! 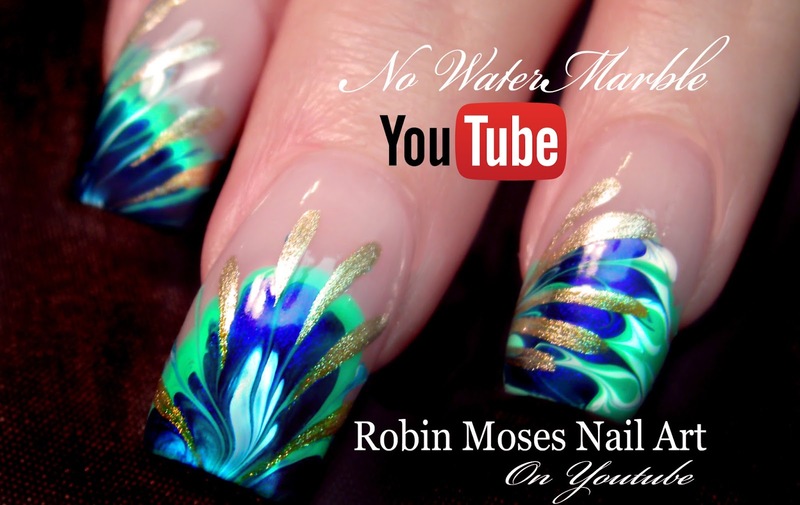 In this Nail Design, hand paint a faux stone granite marble design done with watercolors and acrylic paints and then throw in a little bit of wonder woman bronze pigments by MAC for the gold veins of yummy! This design is so fun and every time your nails look different. I used lavender, pink and white with fuchsia marbled veins in black with a powerful gold line but just take it simple and do black and white until you get it down if you for beginners who want to learn hand painted nail art design or a craft for professional nail techs who want to boost their careers through the education of hand painting DIVA nails. Learn to paint on friends and family or share these as an instructor of a nail school wanting to give their students the best full length lessons with online nail art tutorials that will allow them to create success in the beauty industry that will allow them to support themselves while having fun and finding joy for themselves and others. Tips: when top coating water color, it takes that cloud like effect and makes it very subtle and blends everything together into a seamless finish so dont be afraid to try the different looks with top coating and finding how to get your own effects! having fun and finding joy for themselves and others. joy for themselves and others. 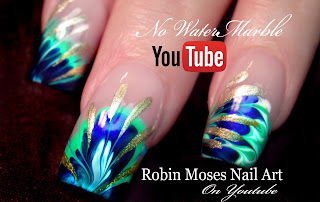 Please SHOUT OUT who inspires you and keep our Nail Art community fun and full of NEW ideas!Tutorial! Share it on links below! 1,200 TUTORIALS HERE: http://bit.ly/1UDLr1B for NEW art every Monday, Wednesday and Friday! In this Nail Design I polish dark blue gradient by @madam_glam and use a wonderful sky blue by OPI called rich girls and po boys. Sprinkled with red, yellow and orange fall leaves in acrylic paints on a brown tree limb and peppered with pearl white dots for stars for a perfect autumn night sky! 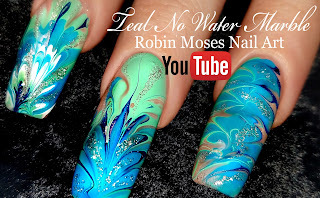 This tutorial is perfect for short nails or for beginners at nail art who want to learn hand painted design. My goal is to help teach you free hand painting for nails, craft even as a challenge for your professional nail techs who might want to enhance their careers through the education of hand painted nails. Learn painting by yourself, on friends and family or share these to an instructor of your nail school or give your clients the best art you can do that is unique in a free form, inexpensive way with online nail art tutorials. create success in the beauty industry that will allow you to support yourself and others while having fun and finding joy for themselves and others. You dont have to have expensive products or be a phony to make it in this industry. Its an 8 BILLION dollars a year industry and there is room for EVERYONE so share, have fun AND FEEL FREE in your self expression. You can do this! 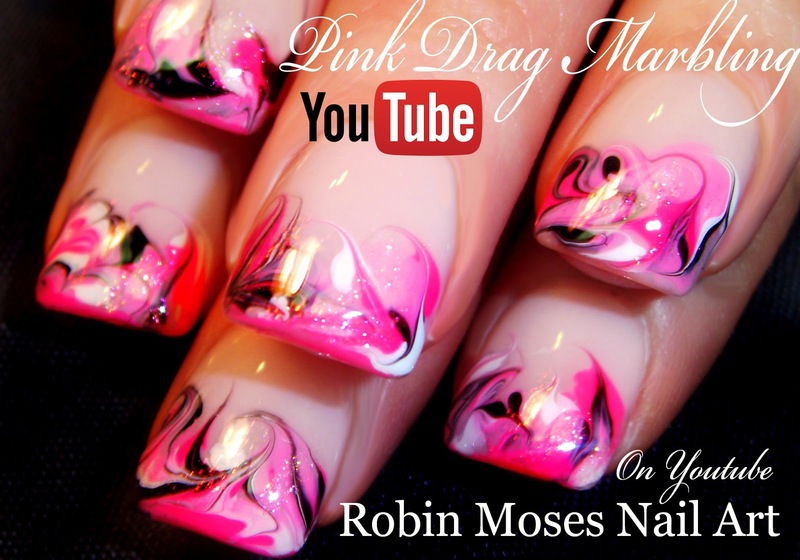 Please SHOUT OUT, like, comment and SUBSCRIBE to those who inspire you and keep our Nail Art community fun and full of NEW ideas! Subscribe to my channel here: http://bit.ly/1UDLr1B Show Me if you try this lovely DIY Autumn no water marble design for long nails perfect for fall! 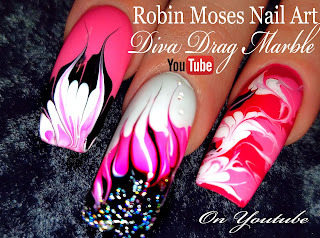 This Dry Diva Drag Marbling Nail Design is so fun. 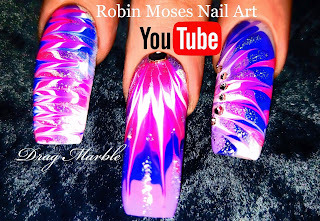 Nail Marble is a technique that never gets old or goes out of style. 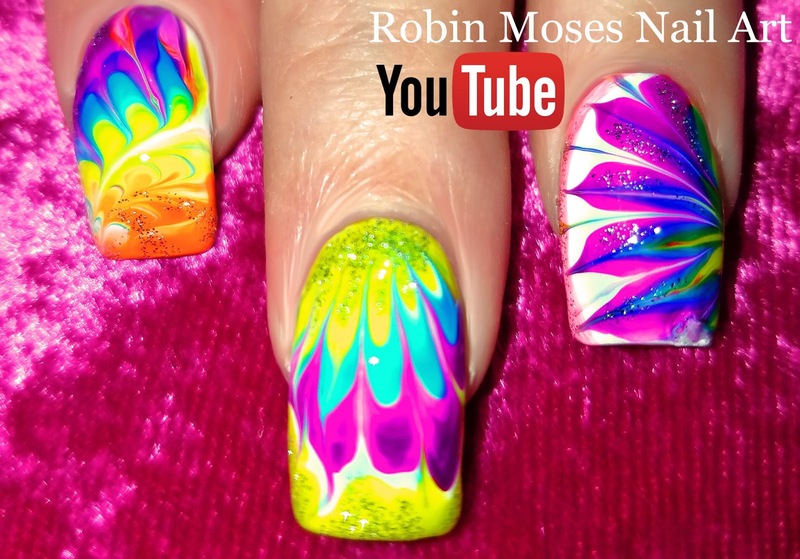 Polished in red, orange and yellow in a flame nail design, it's nail art for beginners or old school nail techs who want to advance their careers through advanced education online for free. This is how to learn hot as fire nails and then add some gold holo glitter or Pixi dust Swarovski crystals and bling your fall nails to the next level of Divalicious!!! Seen done here first and will keep bringing you fresh and new, hot nail designs until you are the best. Then I can retire! haha! Have fun and show me! Try them and Share it with me on links below! Subscribe to my channel here: http://bit.ly/1UDLr1B for NEW art every Monday, Wednesday and Friday! Learn leaves in a beautiful warm brown on diagonal stripe french mani in the elegant nails playlist here on my channel! 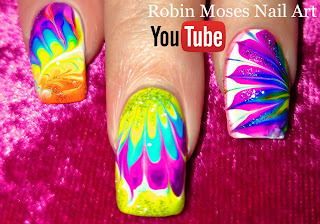 that is turned into neon blue using the Essie Neon polish collection "in it to win it" in In this Nail Design Tutorial! for beginners who want to learn hand painted nail art design or a craft for professional nail techs who want to boost their careers through the education of hand painting nails. Learn to paint on friends and family or share these as an instructor of a nail school wanting to give their students the best full length lessons with online nail art tutorials without using tape that will allow them to create success in the beauty industry that will allow them to support themselves while having fun and finding joy for themselves and others.....If you try them, let me see! Share it on links below! TOPCOAT: Dazzledry (always!) best topcoat ever!